Mobile technology has heavily influenced higher education in recent years through a variety of ways. It has helped re-shape and evolve student communications, how they access information, and learning methods in and out of the classroom. It was not that long ago when the vast majority of research was completed using physical books, not eBooks or the internet. If you think the use of mobile is taking over the education space, sit back because it is only just beginning. According to the 2015 NMC Horizon Report, mobile device and mobile education developments will play a major role over the next five plus years. BYOD in education will also continue to expand (especially in the near-term) as emerging concepts like wearable technology and the Internet of Things (IoT) are increasing in popularity becoming more and more mainstream. With more and more mobile devices connecting to the network everyday and new applications making them increasingly more useful as educational tools, it's critical that your school understands where education is going so you can ensure your network can anticipate what to support next. Here's a short list of the top four mobile trends you'll want to follow as we move into 2016. While your phone is not a piece of clothing, for most people, it stays attached to your body at all times. Your mobile phone serves as the world at your fingertips whether you want to read (most magazines, books, and newspapers are being replaced,) listen to music, get directions, talk to someone in a foreign language, or even track your sleep and health habits. Oh yeah, you can still talk too. There are actual wearable pieces such as smart clothing and watches that can check heart rate, blood pressure, and distance traveled. Wearables are some of the latest mobile devices to hit your network and it's still unclear just how powerful they will be. However, its a safe bet that you're going to want to make sure you have some bandwidth shaping policies in place. Back to the fact that your phone is with you 24/7… This means we can use apps that work to enhance our senses. There are applications that now allow users to experience smell, taste, and touch straight from their mobile device. The more interactive an app, the more popular it is becoming. New applications can have a sneaky way of disrupting your wifi networks performance. It's a good idea to do regular testing of your wifi networks performance especially when it comes to your applications. Suggested Reading - "Unique Answer to Solving Your WiFi Performance Problems for Good"
The internet of things or IoT delivers a constant flow of data going out from your users and back to them in real-time. For example, using IoT in the classroom, tasks like taking attendance can see a tremendous improvement. If students all have a piece of identifiable technology on their bodies, the teacher can know who is in attendance and where they are on campus if they're not in the classroom. Teachers can even monitor actual engagement and know when a student is participating during an activity. IoT apps can be used in conjunction with reading to reveal valuable context that the teacher can use to make smarter teaching decisions. Insights for example like, what the student is actually reading, when they are reading, for how long, and if there were any challenges. Not only from an accountability standpoint to make sure a student is not reading something on Facebook, the teacher can see if reading assignments are taking students too long or if they struggle with certain passages helping them make more relevant adjustments all in real-time. Think about a history lesson on World War II, most of us remember seeing pictures and maybe a documentary, but what if you could feel like you were there? 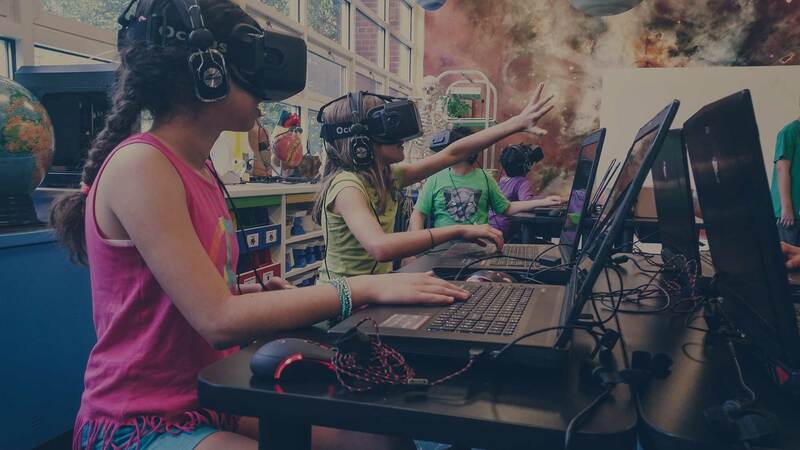 Virtual Reality technology is changing the way we learn by allowing students to become apart of the lesson; to actually interact and experience it live. Suggested Reading - "The User Experience: How to Support the Demand for Wi-fi in Schools"
This kind of classroom technology provides greater engagement resulting in increased comprehension, attention span, and retention. Making the content tie into the student as if they are living a first person account of the event is a game changer. As always with the increased use and number of devices, security is a major concern. And rightfully so, many students and faculty using mobile devices do not protect themselves properly. Not protecting your devices puts you at risk for a data breach, privacy disputes, and identity theft. The greater the number of mobile devices, the greater the risk. So if you are wearing technology and holding one or more pieces of technology, you need to be diligent when it comes to security. From infected apps, viruses, and banking hacks, we must recognize the threats and be proactive to better protect our students and ultimately our networks. Mobile technology in the classroom creates possibilities for learning that can create on-going change to better the lives of students and faculty alike. However, not adopting it due to security risks is not the answer. Adopting the technology and having a proactive plan to address network security issues is the key to your success. If you have any questions about how your school can safely and effectively support any new mobile trend simply contact us here, we'd be glad to help.